T-Mobile on Tuesday added more than a dozen new services to its Binge On program as the disruptive wireless provider continues to wage war on the competition and the industry as a whole. Outspoken CEO John Legere broke the news earlier today on Twitter. Partners joining Binge On, in no particular order, include Google Play Music, NBC, Spotify, Tidal, Great Big Story, Kisew, Ligonier Ministries, Noggin, Qello Concerts, Radio Disney, Univision, Univision Noticias and Toon Goggles. Obviously, some of the new partners will have a greater impact than others. The latest expansion brings the total number of participating partners to over 80. Binge On is a controversial program in which data streamed over your cellular connection from participating partners isn’t counted against your monthly data allotment. The “catch?” Streams are downgraded to DVD quality (480p) so they won’t look quite as nice as they would if you were streaming at full quality over Wi-Fi. You may have noticed that Google Play Music, Radio Disney, Spotify and Tidal already take part in T-Mobile’s Music Freedom program. They’re making the Binge On list today as their video products will no longer count against your monthly data allotment. 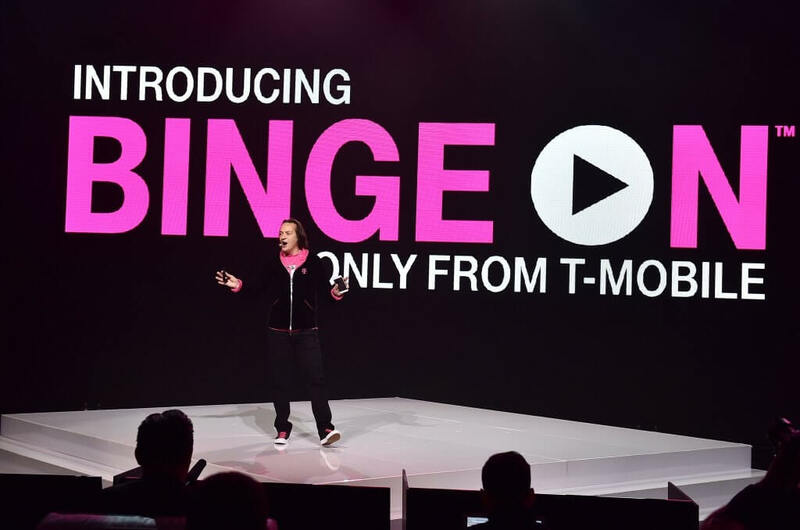 In announcing the expansion, T-Mobile revealed that its customers have now streamed more than 377 million hours of video via Binge On and are watching up to twice as much content from participating providers.